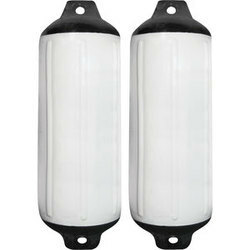 Rubber fenders are more popular in the marine industry. Marine Rubber Fenders are objects that are placed along the sides of a boat or ship to provide a cushioning effect to prevent damage and protect the boat from impacting something harmful. Boat fenders are made from soft rubber or plastic and used between boats and other objects like piers, pilings, and docks to protect the boat from damage. Fenders for boats are available in a wide ranges of shapes and sizes that can be used for for small yachts to the largest vessels. They are designed to absorb the berthing energy due to their deflection.using natural rubber, nitrile, viton, epdm and other sysnthetic rubber. 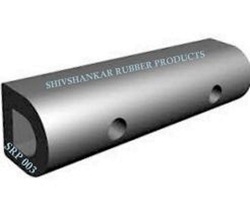 Rubber fenders can withstand all possible operating conditions in the automobile and marine industry. Key Hole Fenders are used as an alternative to W-fenders in case of extremely heavy loads. The keyhole cross-section is very tough but can be curved around the hull. Fixing/mounting is very simple with this type of fender. Ship Fenders have Protected ships and wharves for more years than any other fender type. Ship fenders offer simplicity in installation and offers the most economical solution to many Fendering problems. They offer versatility in installation and can be mounted horizontally, vertically and diagonally. They are ideal for wharves , jetties, Bow and stern for harbor tug boats. As per the requirement of the length fender it can be chuted in one or more sections/ lengths. When there are multiple lengths spigots or connector plugs are used for installation. Also PRE-CURVED Fenders be supplied. Contact Lion Rubber Factory for more assistance. Basic standards of Hollow Cylindrical fenders are OD of fenders = 2X ID of fender Lion Cylindrical fenders can be easily mounted on the hull of the ship with the help of longitudinal chain and is known as suspended installation and is also additionally supplemented by webbing shops preferably nylon make or steeled chains which fit in special grooves provided therein. The ends of the fender can be tapered to get a body blend connection to the hull of the vessel. 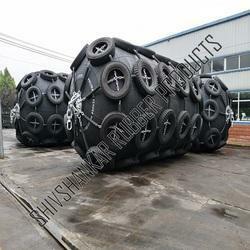 Tyre Fenders is fabricated so as to provide the proper protection to the ships. 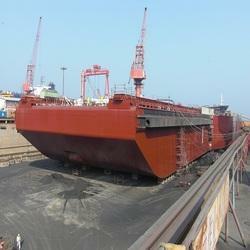 These Marine Fenders is made up of high quality raw material which ensures longevity of the particular product. They are made up in such a manner and technique so that to provide hassle free performance. 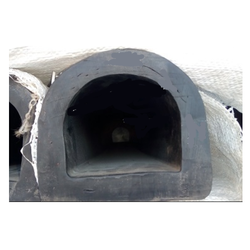 These Marine Fenders include hollow, cylindrical, square rectangular, d-shaped, v/w shaped, cell fenders, corner fenders, ship side fenders, work boat fenders, cone fenders, leg fenders. Jetty Fenders have Protected wharves for more years than any other fender type. Cylindrical fenders offer simplicity in installation and offer the most economical solution to many Fendering problems. They offer versatility in installation and can be mounted horizontally, vertically and diagonally. They are ideal for wharves, jetties, Bow and stern for harbor tugboats. Fenders have Protected wharves for more years than any other fender type. Cylindrical fenders offer simplicity in installation and offer the most economical solution to many Fendering problems. They offer versatility in installation and can be mounted horizontally, vertically and diagonally. They are ideal for wharves, jetties, Bow and stern for harbor tug boats. M Fenders are used for high loads and to absorb excessive dynamic stresses. These type of heavy-duty Fenders are manufactured by Compression Moulding. The rubber compound will be both abrasions resistant as well as highly durable. 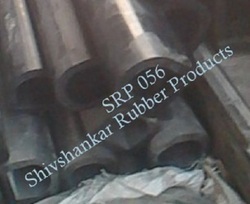 An extensive range of D Shape Rubber Extruded Fender can also be availed from us. We use modern technologies and high grade raw materials in manufacturing these fenders, which ensure their quality. Our fenders are used in the various applications including ship-to-ship operations, ports and terminals and have proven its quality and performance. With the needs of LNG continuing to develop, fenders play ever-greater role for the safe operations. Yokohama fenders are designed to withstand the extreme environmental conditions and we are committed to contribute to the offshore industry by delivering the superior products. Soft Reaction Force for Ship and Jetty Structure Although all fenders should be used within their maximum load limit, it often happens that fenders accidentally receive excess load. The reaction force of Yokohama Pneumatic Rubber Fenders does not increase sharply, even under excess load conditions. Therefore, the Yokohama Pneumatic Rubber Fenders perform well in such cases, and protect ships and mooring facilities. In contrast, the reaction force of solid rubber fenders, including buckling-type fenders, increases sharply under excess load conditions. The excess load turns the solid-type fender into a solid rubber block, which cannot perform as a fender. This often leads to damage of the ship and mooring facilities. Soft Reaction Force for Ship and Jetty Structure. Advantages at Inclined Berthing Ships usually make initial contact with the dock or another ship on STS operations at an oblique angle. 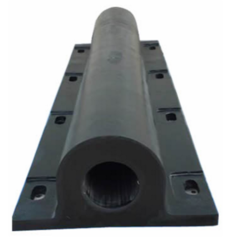 In the case of solid rubber fenders or foam fenders, rated reaction force and energy absorption decreases considerably at inclined compression compared with parallel compression. In order to compensate for the decrease of energy absorption at inclined compression, it is necessary to use larger sizes in the case of solid rubber fenders or foam fender Pneumatic Fender, Solid Fender, Foam Fender. 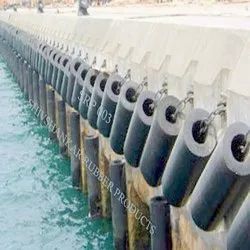 Reduction of Energy Absorption at Inclined Berthing for Pneumatic, Solid and Foam Fender In the case of Yokohama Pneumatic Rubber Fenders, energy absorption does not decrease at inclined compression up to 15 degrees. Distribution of load is also comparatively even because of the molecular freedom of air and high flexibility of the multi-layered cord-reinforced rubber membrane. 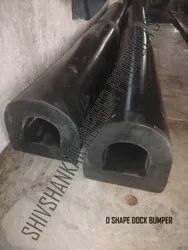 This makes the body of a pneumatic rubber fender more shape conformant compared to solid or foam fenders, and thus able to better distribute the load along the hull of a ship or jetty structure during inclined compression. 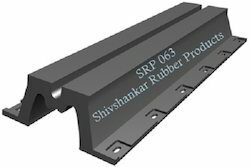 We are leading online manufacturer and supplier Of SRP 156 D Fenders. We are offering a wide range of DO Fenders.